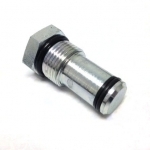 Cross Manufacturing is a leading manufacturer of a complete line of hydraulic components. Their products include: welded and tie rod cylinders, directional flow and pressure control valves, hydraulic gear pumps and motors, filters, accumulators, gear boxes, cross piston, adapters and manifolds. 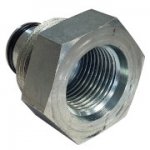 At Northern Hydraulics, we invite you to browse our Cross Manufacturing product lines. We will be pleased to answer your hydraulic questions or send you more detailed product information. We have many Cross Hydraulic Pumps, Hydraulic Gear Motors, Log Splitter Replacement Parts, and Hydraulic Control Valves in stock and ready to ship. Please fill in quote request or call store at 1-800-823-4937 for additional information.